Road biking around Morzine – the famous climbs! 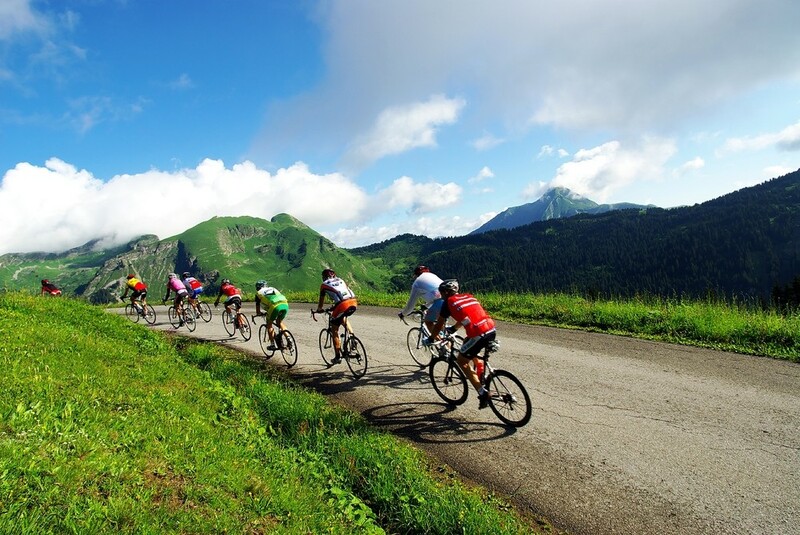 Morzine is a major destination for road bikers in the French Alps. The Tour de France has had numerous stage starts and finishes in Morzine or Avoriaz. The most recent was 2016, with not just a stage finish, but the coveted Etape du Tour – an event where anyone can try to ride a stage of the Tour de France and suffer just like the pros. Made famous by various inclusions into the Tour de France, and especially memorable for putting Lance Armstrong in trouble during the 2000 Tour de France. This col is a short but very sharp climb, with an average gradient of 8.9% over 11.1km. From Morzine it is a 52km loop, taking in les Gets, Tanninges, Samoens, Col de Joux Plane and then the descent back into Morzine. Another favourite of the Tour de France, along with amazing mountain views of Mt Blanc. Although this is not as tough a climb as the Joux Plane, the Ramaz has an average gradient of 7% and a vertical gain of 1350 metres! From Morzine there is a 58km circuit, starting off with Les Gets and the descent into Tanninges, then along the valley floor to Mieussy. The climb up to the Col de Ramaz at 1619 metres and then the descent via the Col de l’Encrenaz and back to Morzine. This is a must do climb for most cyclists coming to the area, from the centre of Morzine up the hairpin bends to the ski resort of Avoriaz. There is also an annual race, the Grimpée Cycliste, this year on the 5th August. The fastest time ever recorded was by French rider Bernard Hinault in 33 minutes, during the 1979 Tour de France. His record still stands today! You can get a time stamp card from the Morzine Tourist Office and stamp your card in the machine by the blue start line, just up from the Morzine Mairie, and then again at the top in Avoriaz by the Visitor Centre. Go into the Morzine Tourist Office on your return to receive a certifcate with your time printed on it!